Our Gold Monogram Bracelets will make the prettiest gifts for your bridesmaids, and won't break the bank! 18k gold plated bracelets include a single monogram initial, heart charm, and a clear rhinestone gem. Optional gift boxes available! Height x Width: 2.5" x 2.75"
Our Gold Monogram Bracelets will make the prettiest gifts for your bridesmaids, and won't break the bank! 18k gold plated bracelets include a single monogram initial, heart charm, and a clear rhinestone gem. 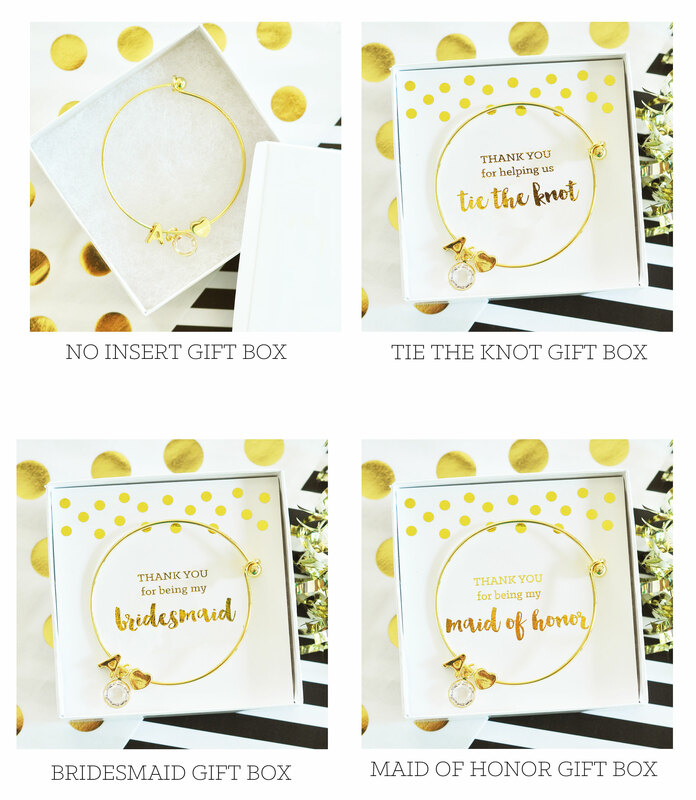 Optional gift boxes available! Height x Width: 2.5" x 2.75"
1 $17.49 ea. 2 - 4 $15.99 ea. 5 - 7 $14.69 ea. 8+ $13.49 ea.